A perfect combination of nature, science and gentle ingredients. Our recipe for powerful protection from insect bites is pretty simple. We looked to nature to find a way to protect the whole family from a natural predator. 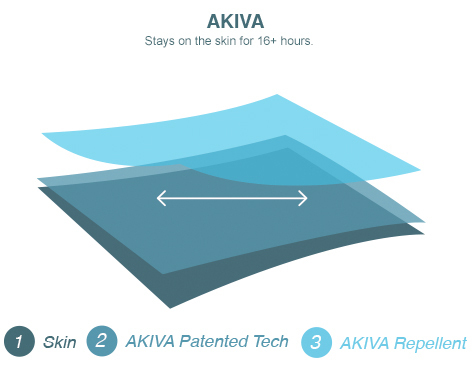 AKIVA’s plant-based, timed-release technology makes it different from other repellents. It’s the perfect combination of nature and science. 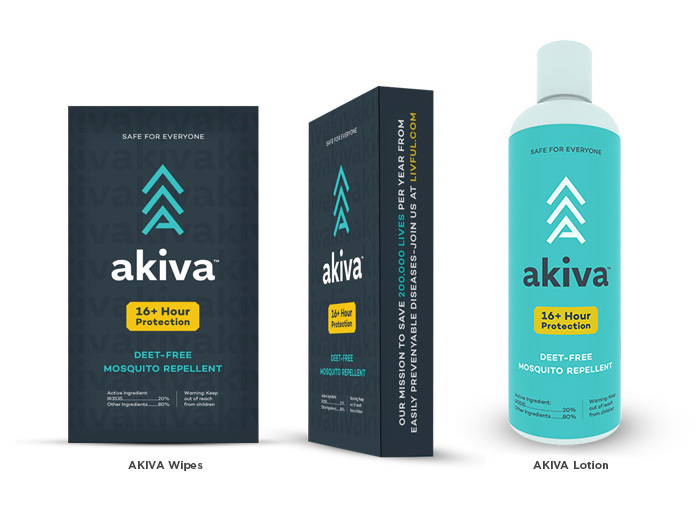 Traditional repellents are absorbed into the skin, AKIVA stays on your skin where it guards against mosquitoes and other bugs. 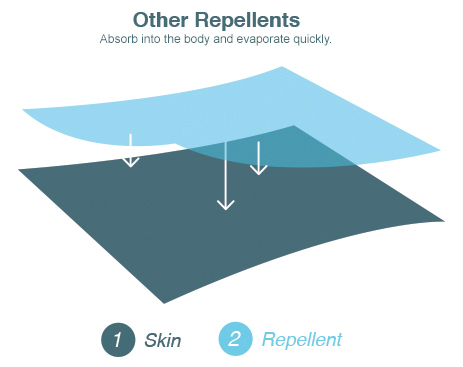 AKIVA’s patented technology slowly releases its DEET-free repellent for up to 16+ hours of powerful protection. Fewer applications mean extra hours of work and play – and more money in your pocket. Our recipe for powerful protection from insect bites is pretty simple. We looked to nature to find a way to protect the whole family from a natural predator. Then we selected the best nature-based ingredients to provide a gentle scent and an invisible feel. IR3535 is derived from Beta Alanine, a natural amino acid. It has the best safety profile of the four primary active ingredients approved by the U.S. Environmental Protection Agency (EPA) for repellents. Since its creation more than 30 years ago, IR3535 has been safe to use for everyone two-months- old and older. IR3535 is the only active ingredient approved by the EPA for dual combination purposes such as sunscreen plus repellent. We hate bugs. We love our customers. For your protection, AKIVA’s active ingredients are nature-derived, biodegradable and meet the highest safety standards. We use naturally-derived repellents that have been scientifically proven to work. IR3535 is derived from a natural amino acid called beta alanine. It has the best safety profile of the four primary active ingredients approved by the EPA as repellents. For more than 30 years since its creation it has had a single incident report to soil its safety record. It is safe for infants 2 months or older. IR3535 is the only active ingredient approved by the EPA for dual combination purposes such as sunscreen plus repellent. We carefully consider each ingredient is either nature-derived, biodegradable or meets the highest safety standards to do no harm to our customers. *For proprietary reasons, we do not list all our ingredient. We hope you can understand.